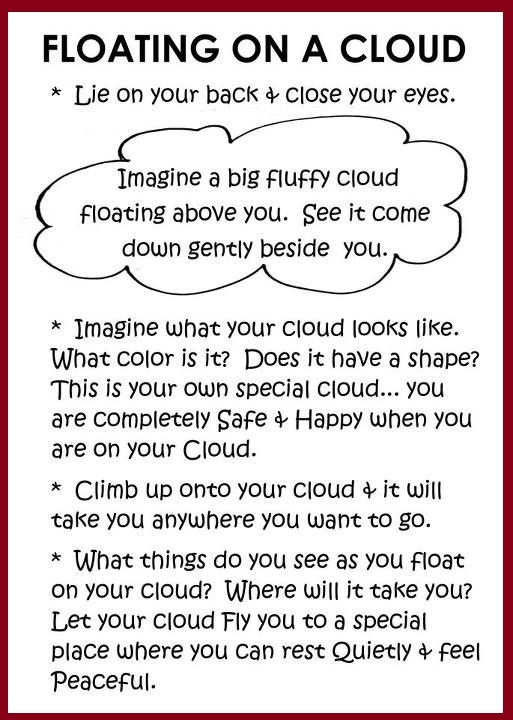 Guided imagery is a therapy that guides a persons mind to a relaxed state and helps in many different ways. Imagery methods include: use of an instructor, use of tapes or scripts. It’s based on the concept of the body/ mind connection. In this type of therapy you can be assisted in healing mind/body/soul, learning, overcoming fears and obstacles and increasing creativity. Guided imagery has been used for centuries, going all the way back to ancient Greece. It is also, well established practice within Chinese medicine. 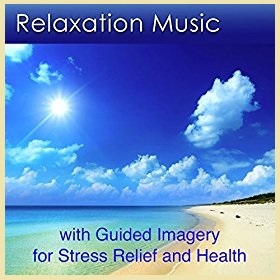 In modern times, guided imagery is an established practice in complementary and alternative medicine. Over the years guided imagery has been used in many different ways and in many different cultures. 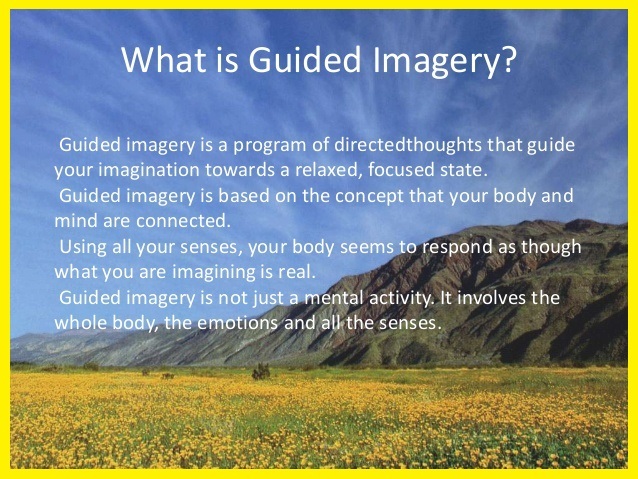 Guided imagery is used in many different methods like: groups, individual therapy, independently, online, self-help books and through trained professions. Verbal prompts direct a person to focus on a image or a place. 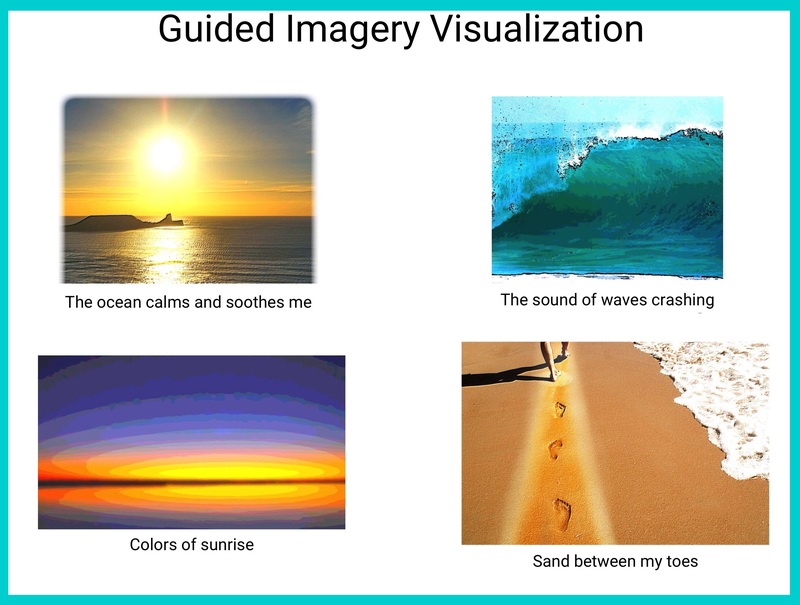 Guided imagery involves all five senses. 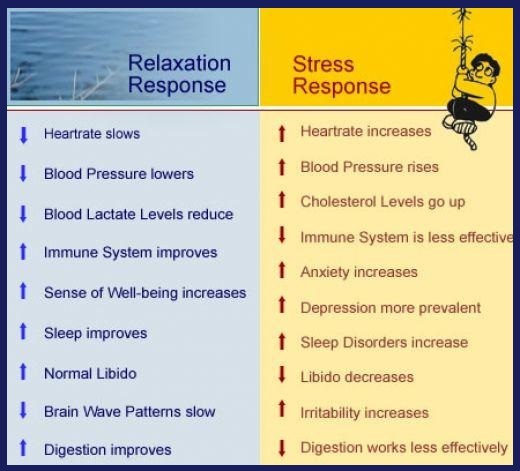 Guided imagery can affect the body, the mind and breathing. 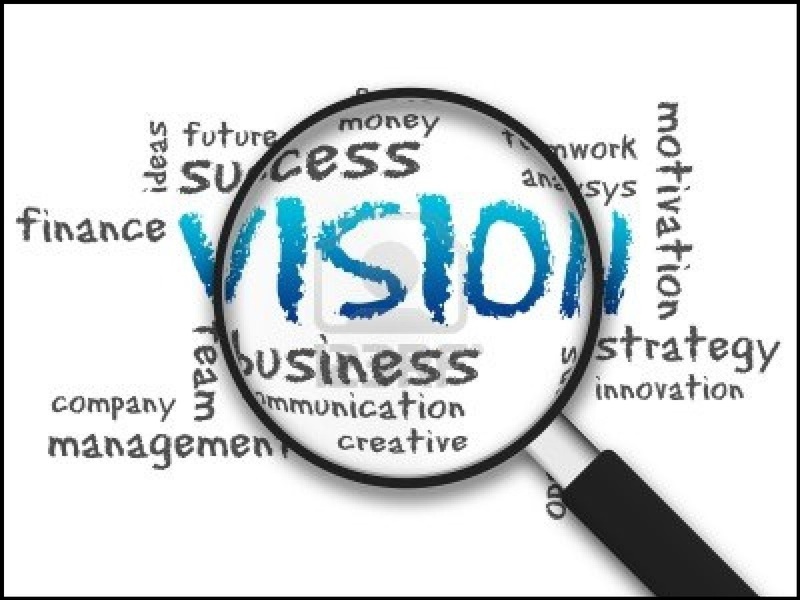 Guided imagery focuses on ones senses, in order to direct and focus attention on a particular issue.